Time for a quick escape to the French and Italian Riviera, Corsica or Sardinia? 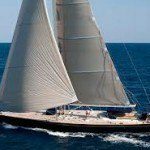 Step aboard slinky 27 Meter – 87 Feet sailing yacht PK BOO. For June only we can offer 3 days for up to 10 guests for just Euro 14,000. 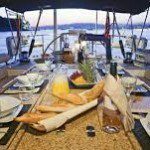 This is to include all meals and drinks and fuel for 3 hours of cruising per day. 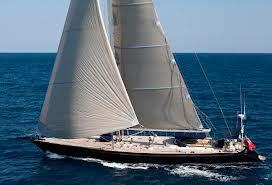 A sleek, fast and elegant yacht with all the comforts of home and 5* service to hand from an excellent crew of 4. Perfect for a long weekend away with friends or a couples getaway.